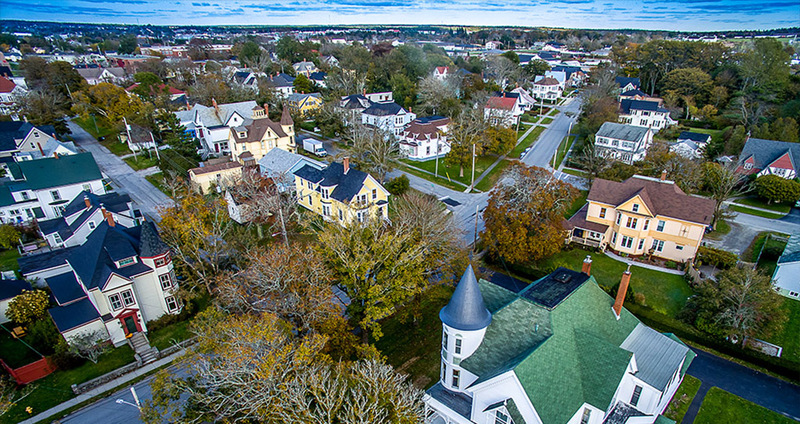 While Yarmouth’s official motto is “Progress,” we understand how important it is to safeguard the old while championing the new – which is why you’ll find tech startups in lovingly restored Victorian homes, and global cuisine in brick buildings that date back to the 1890s. There’s always something incredible happening in Yarmouth. Our historic seaport town is located on the outermost edge of Nova Scotia’s southwest shore along the legendary Bay of Fundy. Long known as “the gateway to Nova Scotia” because of its proximity to the United States, Yarmouth was settled in 1761 when colonists from New England first made their homes here. Although living conditions were harsh, the families stayed and built the homes, stores and churches which became the foundation of our town. Many of the descendants of these early settlers still live in the area today – with names like Ellis, Perry, Crosby, Landers and Eldridge echoing through the centuries. In the center of town, the Collins Street Heritage District boasts many of the elaborate homes once owned by local sea captains and merchants. Past and present are interwoven along the waterfront, where you can see the Milton clock tower and historic Killam Brothers Marina. The south end of Yarmouth boasts the Old Yarmouth Academy as well as the first Yarmouth Hospital. The Town of Yarmouth Heritage Advisory Committee works to protect our irreplaceable built heritage, as well as to promote an understanding of the value of our unique history. We believe in sustainable use and working with property owners to ensure good stewardship of our past. Yarmouth will continue to grow and change, but through the interest and cooperation of property owners, we can preserve these jewels of the past and carry them into our common future.